Officers Roger Murtaugh (Danny Glover) and Martin Riggs (Mel Gibson) return to duty with the Los Angeles P.D. in this sequel. A high-speed chase and crash leads the pair to the discovery of a trunk full of illegal gold Krugerrands from South Africa. Murtaugh subsequently experiences a violent home invasion by thugs speaking with South African accents who warn him to drop the investigation. Riggs and Murtaugh are then assigned to protect Federal witness Leo Getz (Joe Pesci), who happened to be laundering money for the same South African gang that attacked Murtaugh. With Getz's help, the pair discover that members of the South African Consulate are behind the smuggling operation. 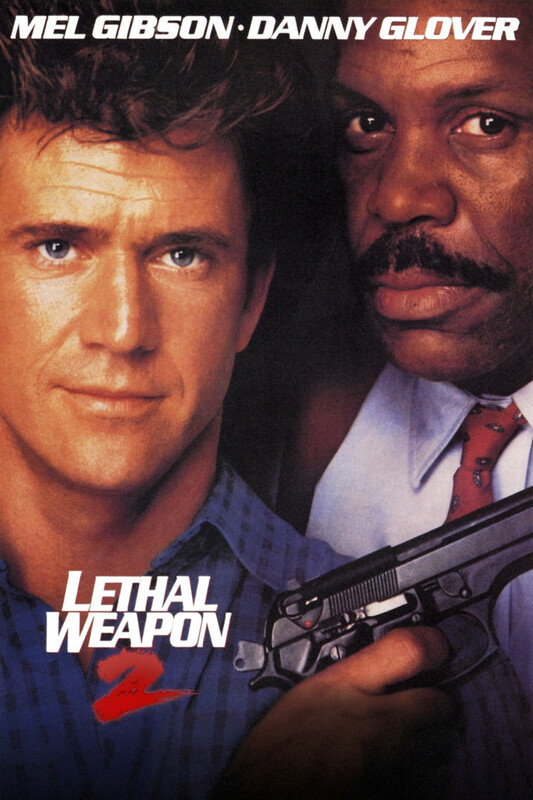 When the Consulate members hide behind diplomatic immunity to avoid prosecution, Riggs and Murtaugh have to take matters into their own hands to mete out justice.